All three have been released from the hospital and are recovering. 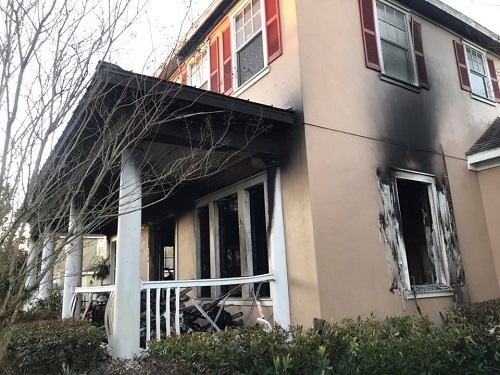 TRINITY – Two firefighters and a teenager were sent to the hospital for treatment of injuries sustained in a house fire early this morning (Jan. 28), Pasco County Fire Rescue said. The names of the three were not available. One firefighter suffered from smoke inhalation. The other suffered from injuries sustained from a fall during firefighting operations. A 17-year-old resident also suffered from smoke inhalation. All three have been released from the hospital this morning and are recovering. The American Red Cross was called to the scene to provide shelter and clothing for five people and a dog. Firefighters said they were called to a home in the 10500 block of Marsha Drive in Trinity about 2:50 this morning. When firefighters from Engine 15 arrived on the scene, they reported heavy smoke and flames coming from the front of the residence. Firefighters performed a quick attack on the seat of the fire. Additional firefighters arrived on scene shortly after, set up command, and helped in the fire attack. It took about 25 minutes to bring the fire under control. Photos courtesy of Pasco Fire Rescue.